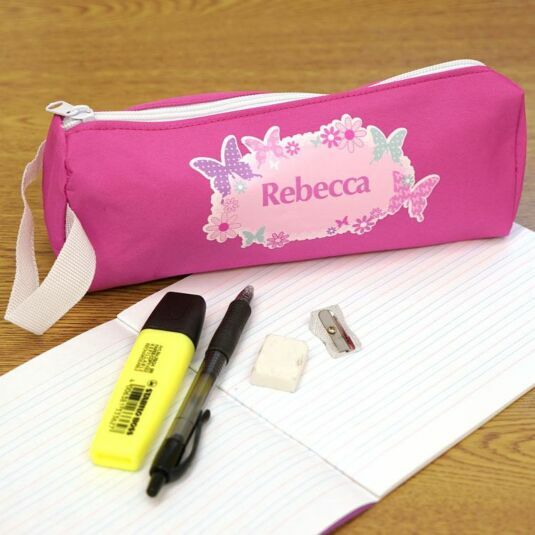 Kids will love to learn with this amazingly bright and colourful personalised pencil case. 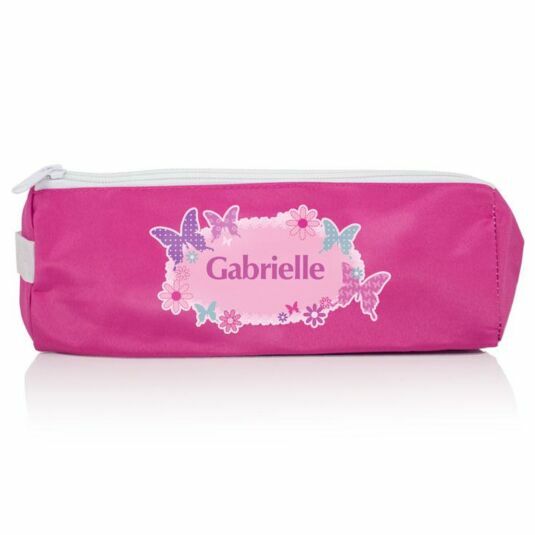 This microfibre case is perfectly sized to hold all children’s stationery from pencils to protractors! This pencil case is easily accessible through a zip mechanism on the top of the case, complete with a convenient carry handle on one end. 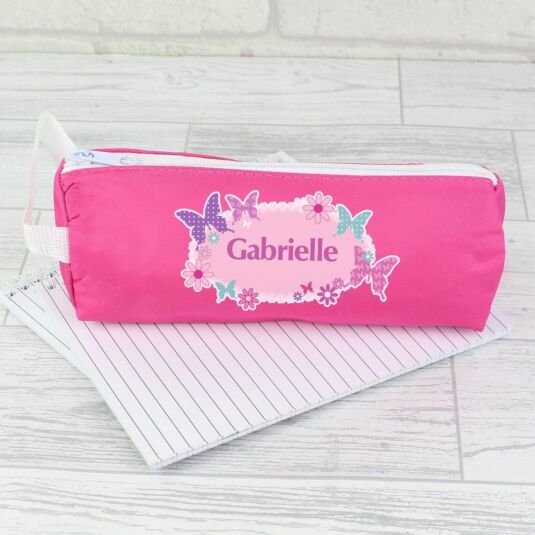 Beautifully illustrated with butterflies set against a pink background, all children will love to take this pencil case to school. The perfect gift to give to a child for school work, home learning or just for creative fun! Add a name, with a maximum of 12 characters, to appear on the front of the case in a pink font.